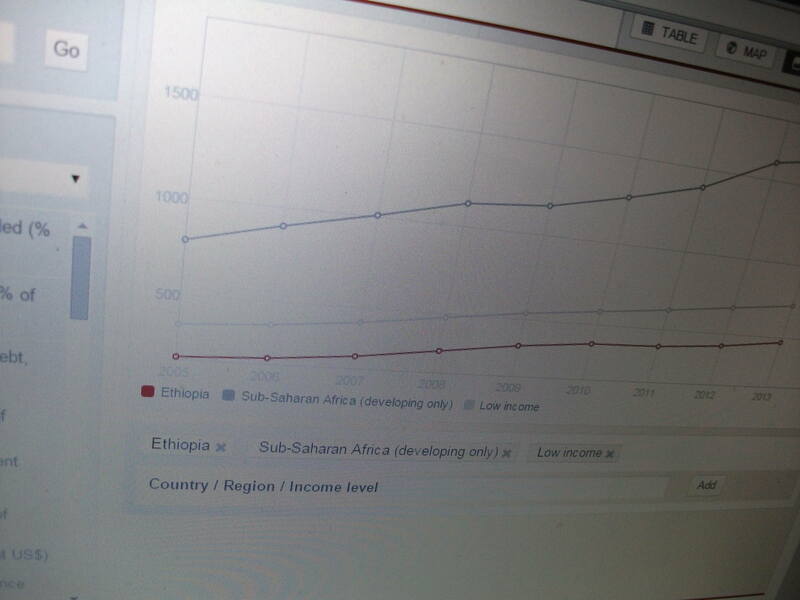 Posted by OromianEconomist in Poverty. 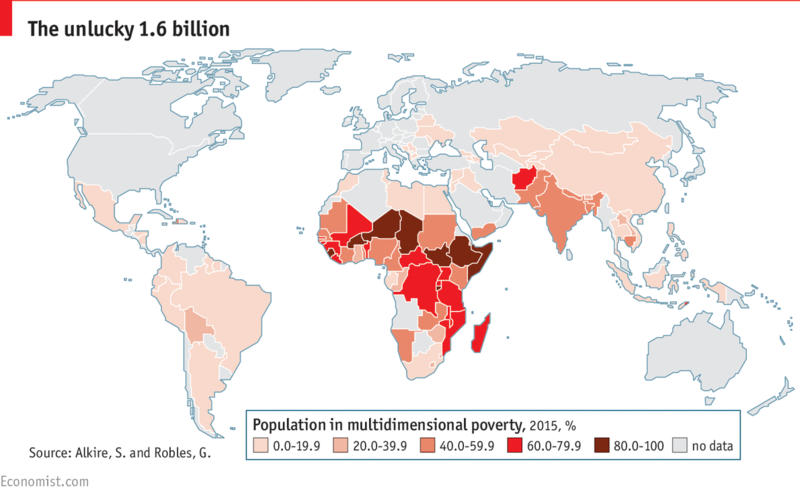 According to the Economist’s latest (25 June 2015) multidimensional poverty analysis, 9 countries that have registered 80% and above of their population as multidimensionally poor are all in Africa: Ethiopia, Somalia, Burundi, South Sudan, Guinea, Niger, Burkina Faso and Chad. MOST measures of poverty just focus on income. 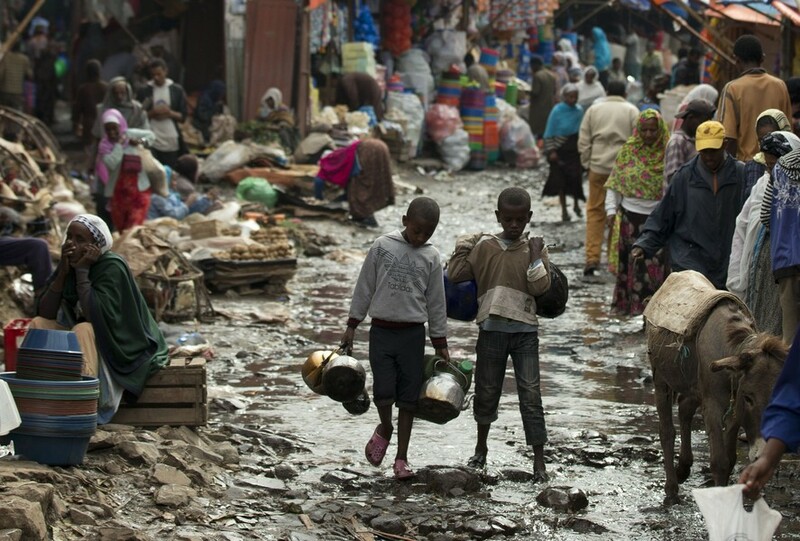 About 1 billion people live on less than $1.25 a day. But a new report from Oxford University looks at poverty levels in 101 developing countries, covering 5.2 billion people, or 75% of the world’s population. The report understands poverty in a different way from how economists usually do. The economists measure “multidimensional poverty”. This complements measures based on income and reflects the many different problems people can face all at the same time. These include bad health and a lack of education. In all, they identify ten indicators; if people are deprived in at least one-third them, they are multidimensionally poor. The authors estimate that 1.6 billion people fit this description. Karoorri Guddina Dinagdee fi Traansoformeshinii Itoophiyaa,qabatamaatti jireenya Ummataa akka hin jijjirre ibsame. OMN: Oduu Wax.30,2015 Mootummaan Itoophiyaa Waggoota shanan darban karoora Guddina fi Tiraansfoormeeshinii baasuun diinagdee biyyattii Dijitii lamaan guddisee biyyattii, toora biyyoota galii giddugalaa qaban cinan hiriirsa jechuun hojjechaa ture. Keesumaa Diinagdee Biyyattii Qonnaan durfamaa jiru gara diinagdee Industiriitti ceesisuuf karoorfamee yoo tures utuu galma hin gahin hafuu isaa ogeessa Diinagdee kan ta’an Obbo Mulatu Gammachuu OMN tti himaniiru. Humna Elektirikaa bara Hayila Silaasetti fayyadamaa,Qonnnaan bulaan Gindoodhuma waggoota 40 darbe lafa qotaa,guddinna galmaa;e jedhamu arguu dadhabne jedhaniiru. Hanqinni sharafa biyya alaa yeroo diinagdee biyyatti raasaa jiru fi qalaa’iinsii gatii guddachaa jiru kanatti karoora guddina fi Tiraansfoormshinii jedhanii labsuun maqaa isaa irra kan hafe qabatamaatti jijjiramni fide hin jiru jedhu Obbo Mulatuun. Biyya Itoophiyaa keessatti guddinni kan dhufuu danda’u qonnaa fi industiriin wal simee lammiileef carraan hojii yoo umamee dha kan jedhan obbo Mulatuun,Projektonni Misoomaa gurguddoon biyyattii illee hanqina sharafa biyya alaatiin rakkoo keessa akka jiran dubbatan. Barreessaan Paartii Kongressii Federaalistii Oromoo obbo Baqalaa Nagaa’s, Itoophiyaa keessatti yeroo ammaa kana hojjetaan Mootummaa miindaa argatuun jiraachuu akka dadhabe, Qonnaan bulaan lafa isaa irra seeraan alaa buqqa’ee kadhaaf daandiitti bahaa akka jiru himanii, ummanni keenya tajajjila dhala namaaf barbaachisu ille argachaa hin jiru jedhu. Karoorri Guddinaa fi Tiraansfoormeeshinii waggoota shanan dhufaniif bahes isa kanaan duraarraa waan addaa fida jedhanii akka hin eegne hubachiisaniiru. 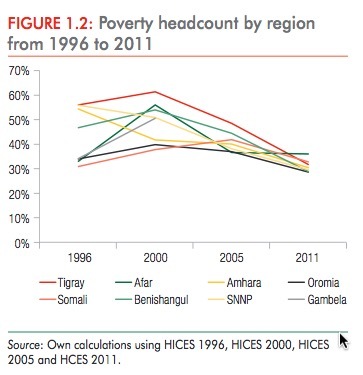 Posted by OromianEconomist in Amnesty International's Report: Because I Am Oromo. There are also these empty concrete and glass buildings in the capital, built out of prestige while people can’t afford renting the space there. 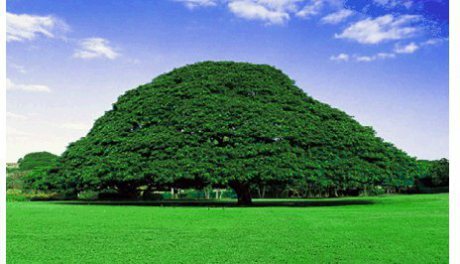 So it is Ethiopia, African country without African fun and joy. The most un-African of all South Saharan African countries. Just several decades ago they had their emperor and their Eritrea. Haile Selassie lived in a luxury and denied the reality of famine. There were no starving people in his country and live skeletons walking the streets. The emperor was old. The Lion was no longer the lion. He used to be a hero, when his country was liberated from Italian occupation. But not when he was too old to hold power. Rumors say that he was killed in his sleep. In 1974 the Revolution took place and the Dergue military committee seized the power. Many people were tormented and killed. In mid 80th people were starving again. In 1991 communists were replaced by so called democrats, but you can still buy dollars only on the black market in Ethiopia. Just several decades ago they had their emperor and their Eritrea. Haile Selassie lived in a luxury and denied the reality of famine. There were no starving people in his country and live skeletons walking the streets. The emperor was old. The Lion was no longer the lion. He used to be a hero, when his country was liberated from Italian occupation. But not when he was too old to hold power. Rumors say that he was killed in his sleep. The dynasty claiming its descent from the King Solomon and the Queen of Sheba had thus ceased to exist. An educational system and its curricula are shaped by the culture and epistemology in which it is embedded. It is influenced by the societal knowledge, but it also instrumental in shaping the knowledge of the society. Culture influences learning style. Based on cultural diversities and social needs, different societies have distinct curricula. As such, Oromo students ought to be taught now to interrogate the colonial epistemology and ideology as well schooled in the ways of dismantling the hegemony. However, in many cases, they are simply taught to reproduce the knowledge, culture, power structure, thinking and the worldview of colonizers. This means that education, which is supposed to be about critical inquiry and social transformation has been used to indoctrinate or brainwash some students. Such colonial educational curricula have invalidated the knowledge of indigenous Oromo people and compromised their needs. This type of education system, instead of empowering the students and their society, has incapacitated them. 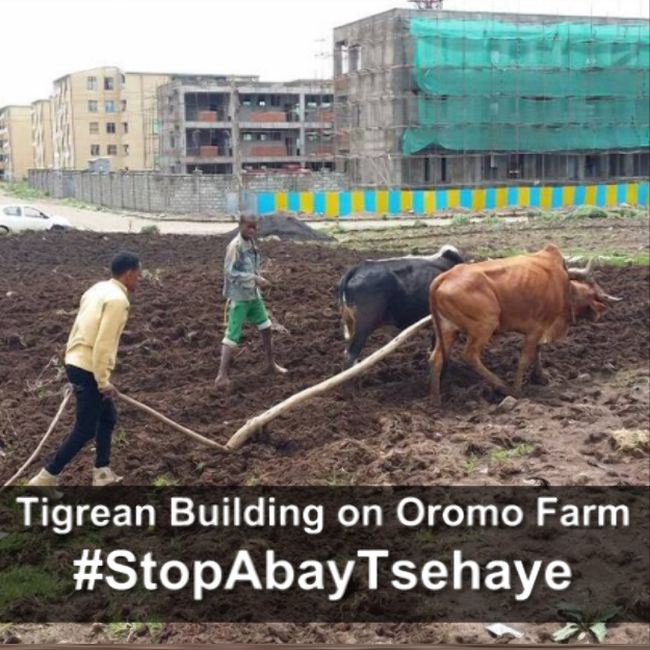 For the Oromo people, such curricula have distorted their history, image, identity, and damaged their social fabric. In this paper I argue that, colonial knowledge and education system is not in a position to bring about social transformation among Oromo people; on the contrary it disrupts their peace (nagaa), health (fayya) and (tasgabii) social order. (Oromedia, 30 Waxabajjii 2015) Sabboontoti Oromoo Oromummaa isaaniitiin yakkamanii wagoota turban darbaniif manneen hidhaa Itoophiyaa keessatti gidirfamaa bahan sagal hidhaa waggaa torbaa booda hiikaman. Raadiyoon Sagalee Oromoo (OVR) akka gabaasetti, hidhamtooti siyaasaa Oromoo salgan kunneen bara 2008 keessa sababa Oromummaa isaaniitiin yakkamaniii hidhaatti kanneen guuraman turan. Akka odeessa nu gaheetti, sabboontoti hiikaman kunneen kanneen galmee Tasfahuun Camadaa faáa jalatti himatamnii turanii murtiin dabaa irratti darbee ture taúun beekameera. Hidhamtoota kunneen waliin hiikamuun kan irra ture Dajanee Dhaabaa garuu haga yoonaatti mana hidhaa Zuwaay irraa akka hiikamne beekameera. Hidhamaan murtiin umurii guutuu irratti darbe Masfin Abbabaa Abdiisaas hidhaa hidhaa umurii guutuu baatee gidiraa argaa jira. Akka yaadatamu, Tasfahuun Camadaa wagga tokko dura mana hidhaa keessatti ajjeefamuun isaa kan beekmuudha.